The Henderson Area Arts Alliance is the Henderson community’s arts umbrella organization, coordinating, supporting and presenting the performing and visual arts. Most HAAA performances are held on the campus of Henderson Community College at the Henderson Fine Arts Center in McCormick Hall. Ticket sales offer a great deal of support for each performance that appears on the McCormick Hall stage but, as with most non-profit arts organizations, Henderson Area Arts Alliance must rely on the generous involvement of our community to offer its financial support. Tax-deductible gifts from all donors enable us to provide quality, world-class programming right here in Henderson for the entire surrounding Tri-state area. Each season we offer a wide array of diversified performances for our season ticket holders, patrons and family series attendees. We strive to keep programming fresh, appealing, entertaining, thought-provoking and educational. We also partner with Henderson County Schools to offer a vast array of arts educational outreach opportunities to school age children. These performances, some held in McCormick Hall and others in local schools, expose our children and youth to the visual and performing arts. A number of other art affiliate organizations benefit from grants provided by HAAA to help promote and flourish the arts. Each year HAAA has a fund drive inviting arts enthusiasts to partner with us to procure, promote and present the arts. A financial contribution that is meaningful to you means so much to us and helps us create a vibrant arts community with quality programs for all. Both individuals and businesses can contribute and help advance the arts. Sponsor an on stage performance! The Henderson Area Arts Alliance invites your organization to partner with us in presenting a show. We can help your business identify opportunities that will shed just the right light on your organization. Whether it’s an entire season or one performance we can show you how to get your business’ name in front of the crowds. Created to honor and recognize patrons who share a common spirit and passion for the arts with John Stanley Hoffman. Contributors in this prestigious group understand the need and importance for the arts in our community and are together committed to helping advance the arts. Some of our donors prefer to give in the form of appreciate securities such as stocks or mutual funds. It’s a smart, easy way to contribute to HAAA. With this form of gifting, just as with cash gifts you will receive a federal income tax donation for the full value of any security you donate as long as you’ve owned them for at least one year. It is our mission to make the arts accessible to all people and to help increase the quality of life in the Henderson area. 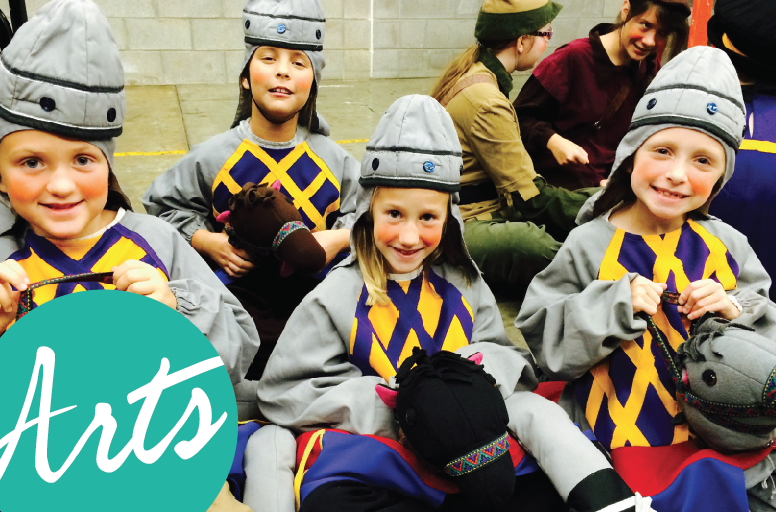 We present a world-class performing arts series at the Henderson Fine Arts Center, support our member affiliate arts organizations in their endeavors and provide arts educational outreach for area children, youth and students. Revenue from ticket sales cover less than half of the funding needed to present a full season of quality show programming. Additional funds in the form of sponsorships, donor gifts and grants are needed to sustain each season. We’ve had great success over the past two decades due in part to the support of our generous community and look forward to many more years filled with outstanding arts opportunities. Without your support, future programing would just not be possible. In addition, your support of the Arts Alliance allows us to help fund our affiliate art agencies as they put together the W.C. Handy Blues Festival, Bluegrass in the Park, Ohio Valley Art League exhibits and the Alice P. Taylor Candlelight Service. The Arts Alliance reinvests valuable artistic resources into all area schools so that our local youth can experience first hand the visual and performing arts. Listed on this page are the donation levels for our fundraising campaign. All donations are tax deductible and should be sent to: Henderson Area Arts Alliance, P.O. Box 234, Henderson, KY 42419. Contributions can be made by check, cash, credit card or securities. Transferring gifts of securities directly to the Henderson Area Arts Alliance may enable you to avoid capital gains tax. Thank you again for your continued support of the arts. Please contact the HAAA office if you have any questions at 270.826.5916. Henderson Fine Arts Center Guild is the volunteer organization for the Center. Volunteer opportunities are available in the following areas: usher, concessions, coatroom, children’s shows, and special events. Please contact HFAC at 270.831.9803 for more information on how to be a member of the Guild and volunteer at the Center. The Kentucky Arts Council, the state arts agency, supports the Henderson Area Arts Alliance with state tax dollars and federal funding from the National Endowment for the Arts.